Oppo R17 Pro, the latest smartphone from the Chinese smartphone maker Oppo is now available for purchase. Interested buyers can now head to Amazon India to get their hands on the device. This is the first sale for the device and it comes just three days after the device was launched at an official event in Mumbai. For context, the company has priced the device at Rs 45,990 and it is one of the first devices in the market to sport the Snapdragon 710 SoC out of the box. Right before this, the company opened the device for pre-order for users who wanted to buy the device. Amazon India is currently offering a number of offers for buyers who are planning to buy the Oppo R17 Pro. These offers include an exchange offer of up to Rs 18,000 for users who want to return their old devices in return, a “No-Cost EMI” option for people who may not want to pay the entire amount in one go, one time screen replacement offer for Rs 990, up to 3.2TB worth 4G data and benefits of up to Rs 4,990 from Reliance Jio, extra Rs 2,000 off on the exchange offer if the user buys from Appario Retail and a Rs 15 cashback for users who do the payment with the help of Amazon Pay. To recap, the device comes with a 6.4-inch FHD+ display with AMOLED panel and that waterdrop-like notch on the front. The company has added Corning Gorilla Glass 6 on the front of the device to protect it against any scratches. Under the hood, as mentioned above, the device comes with Snapdragon 710 SoC along with 8GB RAM and 128GB internal storage along with support for up to 256GB microSD card slot. On the software side of things, the device comes with Android 8.1 Oreo-based ColorOS out of the box. Moving to the camera department of the device, it sports a triple camera set up on the back which packs a 12-megapixel primary sensor for regular images along with a 20-megapixel secondary sensor for depth sensing and loss-less zoom and a third TOF (time of flight) 3D sensor. Talking about the primary sensor, it comes with dual aperture where it sports f/1.5 and f/2.4 aperture. Moving to the front camera, the device comes with a 25-megapixel camera sensor with f/2.0 for selfies. The device runs on a 3,700mAh battery along with support for Super VOOC charging which is an in-house fast charging technology developed by Oppo. The device has added a 50W charger along with the device to facilitate fast charging. In terms of connectivity, the device comes with 4G VoLTE-enabled dual-SIM slots, Wi-Fi, USB Type-C port, Bluetooth v5.0, GPS, and NFC. Vodafone Idea, the country’s leading telecommunications service provider is sending out SMSes to its users stating to stay away from suspicious numbers. Telcos usually warn their users to stay alert all the time and not pick up any unwanted incoming voice calls received on their mobile phone, but this time around, Vodafone Idea is sending out a text message to each and every customer notifying that there might be some threat behind that suspicious voice call. “While receiving an international call, if an Indian number or no number us displayed on your phone, please inform on toll-free number 1800-110-420 or 1963,” reads the message from Vodafone Idea. 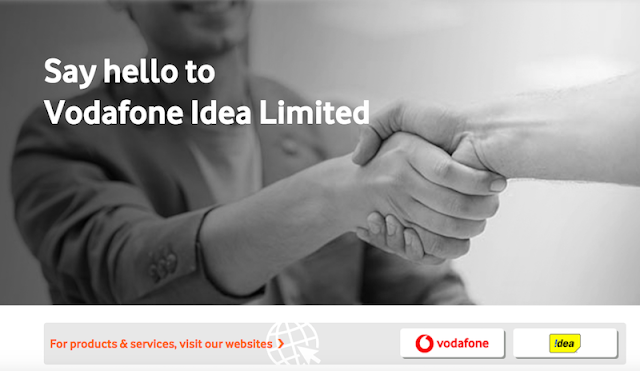 The newly formed entity of Vodafone India and Idea Cellular is seeking help from its subscribers to trace out these calls. As the message by the company reads, it’s asking the users who received an anonymous voice call to immediately inform by calling the toll-free numbers- ‘1963’ or ‘1800-110-420’. This news is reported by ET Telecom stating that several Vodafone Idea customers are receiving the same message. For the unaware, the two helpline numbers mentioned above were introduced by Trai last year, making it easier for subscribers to immediately report any suspicious call they receive. Every year, the government traces out such anonymous calls from unknown mobile numbers based on Voice over Internet Protocol (VoIP), so if you receive any such voice call, go ahead and dial the numbers mentioned above. Another interesting data to note is that the government traced out various illegal exchanges last year in Delhi. According to the report, the government had traced out 11 illegal exchanges in 2016-17 in Andhra Pradesh, six in Eastern Uttar Pradesh in 2017-18, two issues in Kerala and one issue in Odisha. While Andhra Pradesh had the maximum illegal exchanges of 11 in 2016-17, the count reduced to zero in 2017-18. This is not the first time we’re seeing such useful messages from a telco. In the past, Bharti Airtel also warned its users always to stay away from an anonymous call asking for any of your details or trying to make an illegal activity. The new entrant Reliance Jio also keeps its users updated about such info. There are several mobile applications available on the web which gives information about the call or text message you’re receiving. For example, we have Truecaller which runs in the background and gives you the Caller ID for an incoming call. Also, it displays whether the mobile number is marked as spam or not. Usually, Truecaller works on the data given by public and if a user marks a particular number as spam, it will be displayed as spam for other users as well. Oppo finally unveiled its first premium R-series smartphone in the country, Oppo R17 Pro. Alongside, the regular Oppo R17 has been launched as well. The pre-orders are live now. You can place an order on Amazon India. It’s the same smartphone which inspired OnePlus to manufacture its latest smartphone, OnePlus 6T. Both the smartphones come with a similar design language and different internals and imaging capabilities. Can the original beat the new flag-bearer of entry-premium flagships? The regular Oppo R17 has been priced at Rs 34,990, to be available via Amazon India and Oppo’s official India website. **Oppo R17 Pro Launch Offer: An extra Rs 2,000 off on exchange, one free time screen replacement with a Reliance Jio offer of upto free 3.2TB 4G data with added benefits up to Rs 4,900. Oppo R17 Pro and OnePlus 6T both feature a glass sandwich design with a metal frame surrounding it. Both the smartphones look very same in terms of shape and built, except for the colours. The Oppo R17 Pro has a unique color combination of violet and blue. Also, R17 Pro has the SIM tray at the bottom and misses out on 6T’s alert slider. Both Oppo R17 Pro and OnePlus 6T come with identical 6.4-inch Full HD+ AMOLED displays. The smartphones come with a 19.5:9 screen aspect ratio featuring a water drop styled notch at the top for the display. Both the smartphones offer Corning Gorilla Glass 6 protection on top. Oppo has been marketing the R17 Pro as a top-end camera phone and not a device which offers some lightning speed performance. OnePlus 6T is by the top-end Qualcomm Snapdragon 845 chipset coupled with upto 8GB of RAM. While Oppo R17 Pro sports a mid-range Qualcomm Snapdragon 710 chipset capable of offering standard day to day performance. OnePlus 6T is currently available in three storage variants in India: 6GB RAM with 128GB storage, 8GB RAM with 128GB storage and a top-end model with 8GB of RAM and 256GB storage. Oppo R17 Pro is only available in a single storage version of 8GB of RAM and 128GB storage. Oppo R17 Pro runs on the latest Color OS 5.2 UI based on Android Oreo. OnePlus 6T on the other hand runs on the latest Oxygen OS based on Android 9 Pie out of the box. OnePlus 6T has a better user interface provides faster version upgrades and security updates. The Oppo R17 Pro features a triple rear camera setup comprising of a 12-megapixel primary sensor, 20-megapixel secondary sensor and a third TOF 3D sensor to capture 3D information. OnePlus 6T comes with a rear dual camera setup featuring a 12-megapixel primary sensor coupled with a 20-megapixel secondary sensor. Oppo R17 Pro offers a dual-aperture primary sensor where you can adjust the aperture between f/2.4 and f/1.5 depending on light conditions. The 20-megapixel secondary sensor on both the smartphones do a similar job by enabling the depth-effect for bokeh shots and lossless zoom. Oppo R17 Pro has an upper hand here with a variable aperture lens with better low light photography performance. The 3D sensor cannot be used without the right equipment. Up front, R17 Pro has a 25-megapixel ultra-wide snapper while OnePlus 6T has a 16-megapixel wide shooter, both capable of capturing great shots. Oppo R17 Pro and OnePlus 6T both come with a 3,700mAh battery supporting fast charging. OnePlus offers Dash Charge while Oppo R17 Pro has the advanced Super VOOC charging technology. Oppo R17 Pro can be charged completely from 0 under 40 minutes. The Oppo R17 Pro is priced at Rs 45,990 for its 128GB variant. The smartphone will be available exclusively via Amazon and Oppo India official website from December 7. The pre-bookings are live now. OnePlus 6T is available in India exclusively via Amazon India, OnePlus online and offline stores, Croma stores, and Reliance Digital stores. OnePlus 6T offer an excellent performance at this price. Oppo R17 Pro is overpriced if compared to other entry-premium flagships. OnePlus 6T starts retailing at Rs 37,999, while the Oppo R17 Pro costs 8,000 more. The two great things about the Oppo R17 Pro are its rear camera and super fast VOOC charging technology. OnePlus 6T is a better device compared to Oppo given its performance, camera and, most importantly pricing. So, the rumors are true. Yes, the Oppo R17 Pro is coming to India and the company has confirmed the launch. It’s the same smartphone which has been inspired the OnePlus 6T design. This is the first time Oppo is bringing a premium R-series smartphone to India. To add to the list, the company will also launch another budget handset in India, the Oppo A7. Already available in China and Nepal, the device will make its debut in the country this December. The Chinese manufacturer has confirmed the Oppo R17 Pro launch in India. The media invites are out and the device will go official in India on December 4. The Oppo R-series has been the top-end premium series lineup from the manufacturer. The R17 Pro will come with an immersive water-drop styled notch display, the newly launched upper mid-range Snapdragon 710 chipset and rear tri-camera setup. The Oppo R17 Pro is a lot similar to OnePlus 6T from outside. The smartphone will come with a 6.4-inch Full HD+ water drop notched display in a 19.5:9 screen aspect ratio. It boasts a handsome 91.5 percent screen-to-body ratio backed by Gorilla Glass 6 protection on both the front and back. The whole package will run on the powerful octa-core Snapdragon 710 chipset paired with 6GB of RAM and 128GB of internal storage. The smartphone has a gradient color design on the out, an in-display fingerprint sensor, and a rear triple camera setup. It will comprise a primary 12-megapixel sensor with a variable aperture of f/1.5 to f/2.4 to control the depth of field backed by OIS. There’s a secondary 20-megapixel f/1.6 sensor and a third Time of Flight (TOF) 3D sensing sensor to help the smartphone calculate depth information to create 3D-like photos. It is backed by a 3,700mAH battery supported by a 40W Super VOOC fast charging, which can squeeze in 0 to 40 percent battery in under 10 minutes. The smartphone has been priced at CNY 4,299 in China, which translates to around INR 43,750. We don’t know yet whether the company will launch the regular Oppo R17 or not, which comes at a starting price of CNY 3,199 in China, around INR 32,550. The R17 Pro has been confirmed, but the regular R17 may or may not launch. The pre-orders for R17 Pro will begin on Saturday, December 1. The smartphone will be unveiled on December 4. We expect a price around 40,000, the same category around OnePlus 6T. 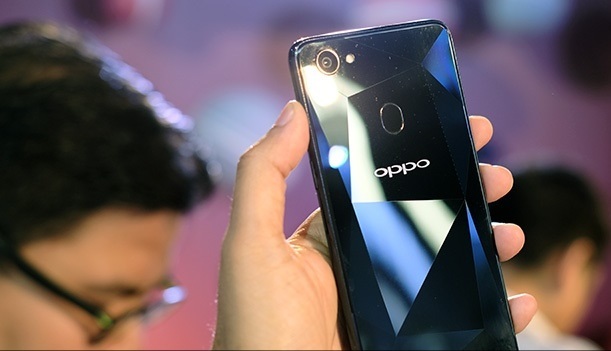 Oppo is planning to bring another smartphone to the country next month, a budget-friendly device, the Oppo A7. The smartphone will have an elongated water drop-styled display, Snapdragon 450 processor and dual cameras. The upcoming Oppo A7 is already available in Nepal and China. The smartphone will come with a 6.2-inch HD+ IPS LCD 19.5:9 display with a water drop notch. Do mind that it’s a HD only display with a screen resolution of 1520 × 720 pixels. It has a rear dual camera setup comprising of a 13-megapixel primary sensor coupled with a 2-megapixel secondary sensor. Up front, Oppo A7 features a 16-megapixel sensor backed by AI features. The device will run on Snapdragon 450 with either 3GB or 4GB of RAM and 32GB of internal storage, expandable up to 256GB. It will have a large 4,230mAh battery running on ColorOS 5.2 based on Android 8.1 Oreo. In India, Oppo A7 will be available in two colour variations of Glaze Blue and Glaring Gold. As per a leak, the smartphone will start to retail at Rs 16,990. That seems like a ridiculously high price given its very average specs and the competition available in the market. Oppo A7 will launch in India in early December. Given the price, the device is expected to be available via offline channels only. It all started with iPhone X last year, and now it's become a trend among the smartphone makers to put a notch on top of the display. It all started with iPhone X last year, and now it’s become a trend among the smartphone makers to put a notch on top of the display. After dual cameras and 18:9 widescreen displays, the latest trend is all about an iPhone X-like notch. Currently, bezel-less displays are one of the most sought-after features on smartphones. After Apple, top Android smartphone makers have blatantly copied the display notch on their flagships. From the recently-launched OnePlus 6 to tri-lensed Huawei P20 Pro to newly launched budget Lenovo Z5, all come with a notch on top of the display. 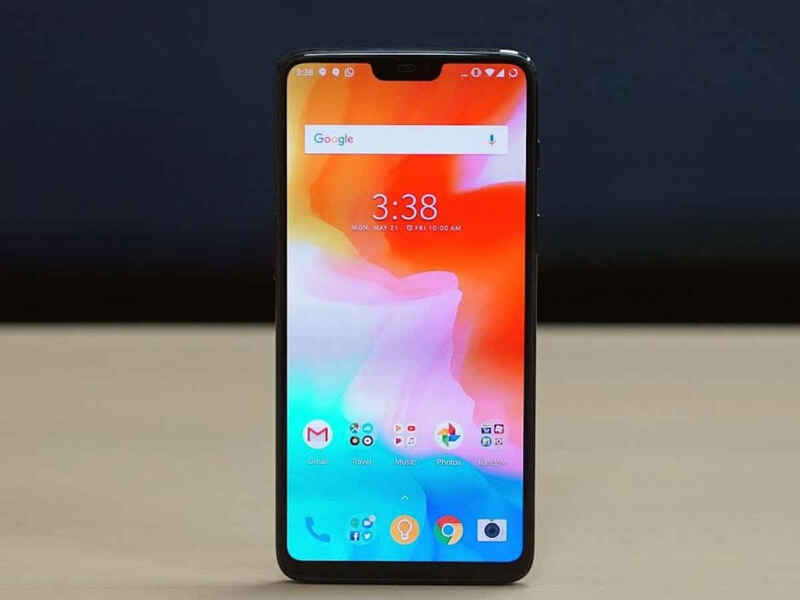 Top 10 Smartphones With Display Notch Here are the top ten such smartphones which come with a notch on top of the display. 1. OnePlus 6 OnePlus is known to deliver top-quality features at an affordable price, and OnePlus 6 is a prime example. OnePlus 6 comes with a Snapdragon 845 process, 16MP + 20MP rear dual camera, a 16 MP front camera with 6GB or 8GB of RAM and 64 or 128GB of internal storage. With a premium glass build on front and back, the OnePlus 6 has a 6.28 inch full HD+ 19:9 elongated Optic AMOLED display with a notch. 2. iPhone X Launched at a price over a lakh, iPhone X was the notch trendsetter. iPhone X still remains the best-notched phone with minimal bezels around. The smartphone comes with a 5.8 inch Super Retina display with the A11 Bionic chip under, a top rated dual camera and a premium built on the. The price remains one of the biggest factors choosing the iPhone X, but if you can afford, it’s one of the flagships available in the market right now. 3. Honor 10 Considered as a OnePlus 6 competitor, Honor 10 comes with a glass sandwich design and a 5.84 inch full HD+ IPS LCD panel with a notch at the top. With 6GB of RAM and 128 GB storage, it packs in a Kirin 970 under with a rear dual camera at the back (16MP + 24MP) and a 24MP up front. The Honor 10 is a complete package with top of the line specifications and a display notch at the top. 4. Huawei P20 Pro The new Huawei flagship comes with Hisilicon Kirin 970, 6GB RAM and 128GB storage, much like Honor 10. But Huawei P20 Pro currently has the best smartphone camera in the world where it features a the rear triple camera module consisting of a 40MP, 20MP and 8MP shooters. Up front, it features a 24MP shooter with a 6-inch full HD+ OLED FullView display and a notch. 5. Nokia X6 Launched in China, the Nokia X6 is the first Nokia smartphone to come with a notch. It features a 5.8 inch Full HD+ IPS LCD 19:9 elongated display with the notch. It houses the sensors and the front camera. The smartphone is powered Qualcomm Snapdragon 636 chipset coupled with 4GB or 6GB of RAM with 32GB or 64GB storage. Nokia X6 is expected to launch in India by the end of June or early July. 6. Vivo V9 The heavily marketed Vivo V9 also features a 6.3 inch 19:9 elongated full HD+ display with a notch at the top of the front panel. With an octa-core Snapdragon 626 under the hood, the Vivo V9 comes with 4GB of RAM, 64GB storage, a rear dual camera setup comprising a 16MP primary sensor coupled with a 5MP depth sensor and a 24MP front camera. 7. Lenovo Z5 The recently-launched Lenovo Z5 is the cheapest notched phone which comes with a 6.2-inch Full HD+ 19:9 elongated display with a screen resolution of 1080 x 2246 pixels with a whopping 90% screen-to-body ratio and a Corning Gorilla glass layer on top. The smartphone comes with a rear dual camera, a Snapdragon 636 chipset coupled with 6GB of RAM, 64GB or 128GB storage and fast charging support. 8. Xiaomi Mi 8 The newly-launched Xiaomi Mi 8 packs a notch on its beautiful 6.21 inch AMOLED Full HD+ 19:9 elongated display with a screen resolution of 1080 x 2248 pixels in an 18.7:9 aspect ratio. Under the hood, it packs in a Snapdragon 845, 6GB of RAM and up to 128GB of storage. Mi 8 also features the latest MIUI 10 and an AI-powered rear dual camera and front camera. 9. Huawei P20 Lite A toned down version of the Huawei flagship P20 Pro, the P20 Lite also comes with a notch on a 5.84 inches IPS LCD full HD+ 19:9 elongated screen at 1080 x 2280 pixels resolution. The P20 Lite doesn’t feature three cameras, but the FullView display has a notch on the top and the device gets powered by an octa-core Kirin 659 processor with 4GB of RAM and 64GB of internal storage. 10. Oppo F7 Last on the list, the Oppo F7 also features a notch on the display. The smartphone comes with a 6.23 inch full HD+ IPS 19:9 elongated display with a notch. Apart from the notch, the Oppo F7 features budget internals. Under the hood, the smartphone gets powered by a MediaTek Helio P60 chipset which couples with 6GB of RAM, 64GB internal storage and an AI-powered 25-megapixel front camera. Apple iPhone X's 'notch display' seems to have become the hot favourite of Android smartphone companies. Though introduced by Essential Phone in March 2017, the notch (a cutout in the display) became widely popular after it came on Apple's tenth-anniversary iPhone. In fact, research company Counterpoint has forecasted that approximately 300 million smartphones sporting the notch will be launched in the year 2018. Of these 300 million smartphones, 55% will be Android phones and the remaining 45% will be from Apple. Here are 6 Android smartphones currently available in India that are iPhone X 'look-alikes' as well as the ones that are set to launch in the country in the coming days. 1. OnePlus 6 (starting Rs Rs 34,999) : The latest smartphone to sport the 'much-famed' notch is OnePlus 6 (review). The device offers a 6.28-inch full-HD+ (1080x2280 pixels) Full Optic AMOLED display with a 19:9 aspect ratio. OnePlus 6 runs on Qualcomm's latest flagship processor Snapdragon 845 and Adreno 630 GPU. For imaging duties, the OnePlus 6 offers a 16MP primary camera with Sony IMX519 sensor with a 1.22-micron pixel size and f/1.7 aperture. The secondary camera is 20MP with Sony IM376K sensor. On the front, there's a a 16-megapixel with a Sony IMX371 sensor and f/2.0 aperture. OnePlus 6 comes in two variants based on RAM and internal storage capacity, 6GB RAM/64GB storage and 8GB RAM/128GB storage priced at Rs 34,999 and Rs 39,999 respectively. 2. 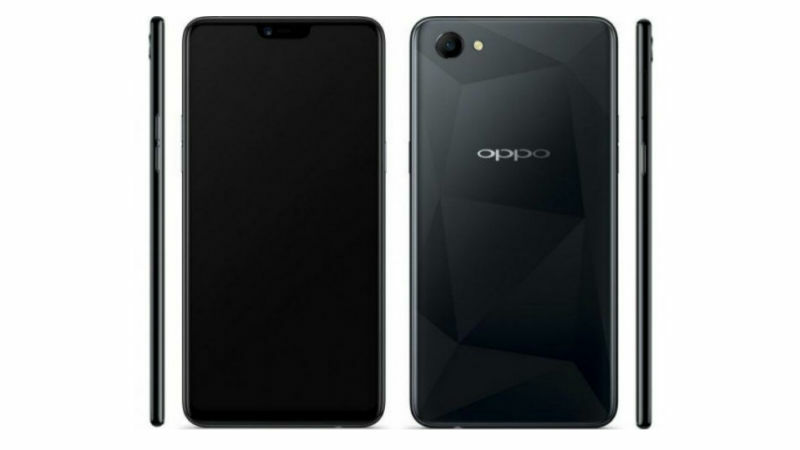 Oppo F7 (starting Rs Rs 21,990) : Oppo's flagship smartphone too comes with an iPhone X-like display. It features a 6.23-inch full-HD+ display with 1080x2280 pixel resolution and 19:9 aspect ratio. Oppo F7 (review) has an iPhone X-like notch on the top. Powered by an 64-bit octa-core MediaTek Helio P60 processor, it comes in two storage options -- 4GB of RAM with 64GB ROM and 6GB of RAM and 128GB ROM. Oppo F7 boasts of the AI Beauty 2.0-powered 25-megapixel front-facing camera and a 16-megapixel camera with LED flash. The Oppo F7 is priced at Rs 21,990, for the 4GB RAM variant and Rs 26,990, for the 6GB RAM variant. 3. Huawei P20 Pro (Rs 64,999) : World's first smartphone with a triple rear camera, Huawei P20 Pro (review) too has notch like iPhone X on its 6.1-inch full HD+ OLED display. Backed by a 4000mAh battery, the device is powered by an octa-core Kirin 970 processor and offers 6GB RAM and 128GB inbuilt storage. The triple rear camera setup includes a 20MP monochrome sensor with f/1.6 aperture, 40MP RGB camera with f/1.8 aperture and an 8MP telephoto camera with f/2.4 aperture. The Huawei P20 Pro is priced at Rs 64,999. 4. 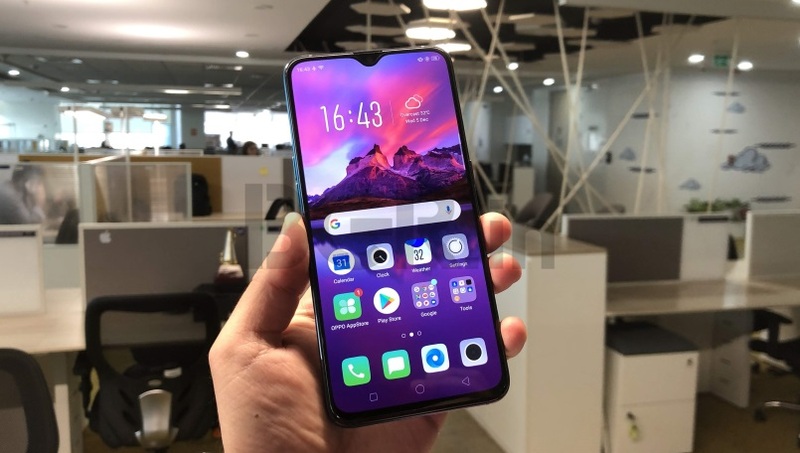 Vivo V9 (Rs 23,990) : Vivo's flagship smartphone Vivo V9 (review) too has iPhone X-like 'notch display'. Priced at Rs 22,990 ,it has a 6.3-inch IPS LCD ‘FullView’ display with 2280 x 1080 pixels resolution and 19:9 aspect ratio. In other specs, Vivo V9 is powered by the Qualcomm Snapdragon 626 processor paired with 4GB of RAM and 64GB internal storage. It features a 24MP selfie camera along with f/2.0 aperture and a dual rear camera setup of 16MP (f/2.0 aperture) and a 5MP (f/2.2 aperture). 5. Honor 10 (Rs 32,999) : Huawei's sub-brand Honor 10 features a 5.84-inch full HD+ display with a 19:9 aspect ratio and the notch. It is powered by the latest octa-core company's own Kirin 970 processor paired with 6GB of RAM and offers 128 GB of internal storage. It runs Android 8.1 Oreo-based EMUI 8.1 interface and is powered by a 3400mAh battery with support for Fast Charging. 6. Huawei P20 Lite (Rs 19,999) : The other Huawei smartphone with the notch is the P20 Lite. As the name suggests, it is the toned down version of the P20 Pro. The device has a 5.8-inch TFT LCD full HD+ display. It is powered by an octa-core Kirin 659 processor and has 4GB of RAM along with 64GB inbuilt storage. Backed by a 3,000mAh battery, it offers a dual rear camera setup that includes a 16MP and a 2MP sensors at f/2.2 aperture. On the front, there is a 16MP sensor with f/2.0 aperture. 7. Soon to be launched: Asus Zenfone 5Z : The flagship smartphone from Asus was first launched at the Mobile World Congress 2018, and is soon expected to launch in India. The iPhone X-like notch marks a major design change for the Zenfone series smartphone. In terms of specs, the handset has a 6.2-inch full HD+ IPS display with 19:9 aspect ratio. It is powered by a Qualcomm Snapdragon 845 processor, coupled with 8GB RAM and 256GB inbuilt storage. 8. Soon to be launched: Asus Zenfone 5 : Launched along with the Zenfone 5Z at MWC 2018, Asus Zenfone 5 has the same notch and a vertically-placed dual rear camera setup. The handset runs on Qualcomm Snapdragon 636 processor, clubbed with 4GB RAM or 6GB RAM and 64GB in-built storage. Other specifications of the ZenFone 5 match those of the ZenFone 5Z, with the primary differences seen in the processor, RAM, and storage sections. 9. Likely to be launched soon: Nokia X6 : Nokia's first smartphone to sport the notch, Nokia X6, is also expected to launch in India soon. It is not as premium as the Nokia 8 Sirocco based on the specifications and price and can be placed in the mid-range segment. It offers a 5.8-inch FHD+ display of 2280x1080 pixels resolution and an aspect ratio of 19:9. Powered by Qualcomm Snapdragon 636 processor, the smartphone comes in two storage options -- 4GB/6GB RAM and 32GB/64GB storage. On the camera front, the Nokia X6 has a dual rear camera setup that includes a 16MP autofocus sensor with f/2.0 aperture and a 5MP monochrome sensor with f/2.2 aperture. At the front there is a 16MP camera with f/2.0 aperture. 10. 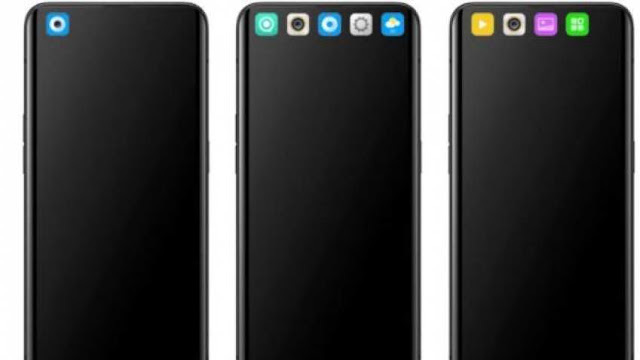 Likely to be launched soon: LG G7 ThinQ, G7+ ThinQ : Both the latest handsets from South Korean tech giant also feature the iPhone X-like notch. With most of the specs same, the LG G7 ThinQ, G7+ ThinQ smartphones differ in terms of RAM and internal storage. The G7 ThinQ has 4GB RAM with 64GB inbuilt storage, the LG G7+ ThinQ has 6GB RAM with 128GB inbuilt storage. Rest stays common. Both handsets feature a a 6.1-inch QHD+ FullVision display with 19.5:9 aspect ratio and are powered by Qualcomm Snapdragon 845 processor. They have dual rear camera setup of two 16MP sensors. At the front, there is an 8MP camera. Both smartphones are backed by a 3000mAh battery that also supports Qualcomm Quick Charge 3.0 tech. There is no confirmation about the India launch of both LG handsets, but they are expected to hit the market soon. While traditionally Dual SIM smartphones offered 4G VoLTE support in single SIM, smartphone makers are now bringing dual SIM dual VoLTE support for their devices. This means both SIM 1 and SIM 2 slots offer 4G VoLTE connectivity. There are a limited number of smartphone makers that support Dual 4G VoLTE as of now and here’s a list of the same. 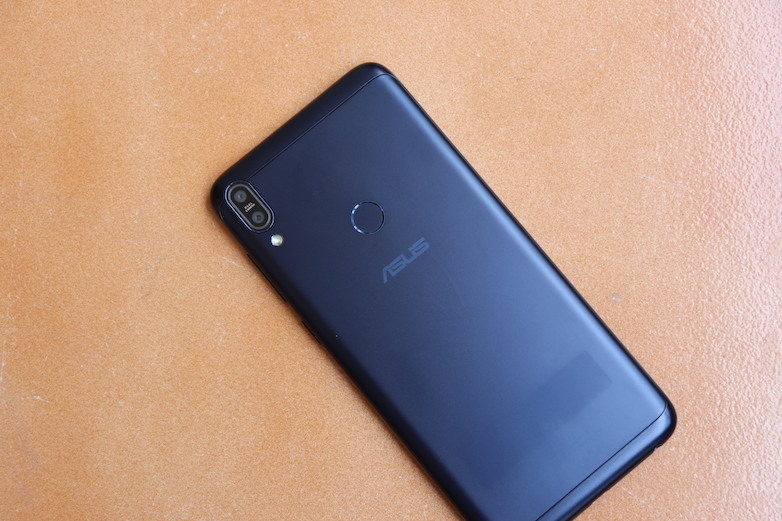 Asus Zenfone Max Pro M1 Taiwanese manufacturer Asus launched its mid-range ZenFone Max Pro M1 in India late last month. The smartphone sports 5.99-inch IPS LCD Full HD+ display and is powered by Qualcomm Snapdragon 636 SoC paired with up to 6GB of RAM. This chipset enables the dual SIM dual VoLTE 4G connectivity. The ZenFone Max Pro M1 packs massive 5000mAh battery and runs Android 8.1 Oreo with stock Android experience. The smartphone is priced at Rs 10,999 for 3GB/32GB model and Rs 12,999 for 4GB/64GB variant. A 6GB RAM and 64GB storage variant with better camera specs is priced at Rs 14,999. Oppo Realme 1 Oppo sub-brand Realme’s first smartphone the Realme 1 is one of the cheapest devices with dual 4G VoLTE support, allowing HD calls to be made through both SIM cards. The Realme 1 features 6-inch Full HD+ display with 18:9 aspect ratio, MediaTek Helio P60 SoC, 13MP rear camera and 8MP selfie shooter and 3410mAh battery. The Realme 1 price has been set at Rs 8,990 for the base 3GB RAM + 32GB storage model while the top model with 6GB RAM + 128GB storage goes for Rs 13,990. The Realme 1 will be exclusively available on Amazon India store starting May 25th, 12 noon onwards. Oppo F7 Oppo F7 powered by Helio P60 SoC also supports Dual SIM dual VoLTE. The “perfect selfie” phone comes with a 6.23-inch Full HD display trendy notched design, and a glass rear. The device packs AI-powered 25MP (f/2.0) selfie shooter and on the rear, a 16MP (f/1.8) camera with LED flash. The Oppo F7 price in India starts at Rs 21,180 for the 4GB RAM + 64GB storage variant, while the 6GB + 128GB storage model priced at Rs 26,990. Honor View 10, Honor 10 Huawei sub-brand’s Honor View 10 was the first phone in India that could support dual SIM dual VoLTE. Sporting 5.9-inch Full HD+ display, the View 10 is powered by Kirin 970 chipset paired with 6GB RAM and 128GB storage. The device has a dual 20+16MP primary camera with a dual-LED flash and a 13MP front-facing camera. Available exclusively on Amazon, Honor View 10 starts at Rs 29,999. The Honor 10 is yet another phone from the Huawei’s sub-brand that supports Dual SIM Dual VoLTE feature. The Honor 10 boasts of 5.84-inch Full HD+ display resolution with a notch at the top. It is powered by HiSilicon Kirin 970 chipset coupled with 6GB RAM and 128GB storage. The Honor 10 price in India starts at Rs 32,999. Huawei P20 Pro Huawei’s top of the line Huawei P20 Pro is a flagship smartphone with a triple set of Leica branded cameras. The smartphone comes with triple 40+20+8MP rear sensors and a 24MP front-facing shooter. It is powered by HiSilicon Kirin 970 SoC paired with 6GB of RAM. Huawei P20 is expected to be launch later this month in India and the phone is priced at Rs 64,000. Nokia 7 Plus, Nokia 6.1 Nokia licensee HMD Global launched Nokia 7 Plus powered by Snapdragon 660 SoC in India in April, but the smartphone offered 4G VoLTE only in one slot despite support for dual VOLTE feature in the chipset. Following user complaints, Nokia rolled out a software update to Nokia 7 and Nokia 6 (2018). With the latest update, the Nokia 7 Plus and Nokia 6 (2018) get 4G LTE network support to the second SIM card slot, as well as the May 2018 security update. The Nokia 7 Plus in India is priced at Rs 25,999. The Nokia 6 (2018) 3GB RAM version price in India is Rs 16,999, while the 4GB version is Rs 18,999. Oppo A3 has been launched, a new mid-range offering with a 19:9 aspect ratio bezel-less display and an iPhone X-like notch. It also ships with 128GB of inbuilt storage, which is another highlight of the smartphone. The company is also touting the design of the smartphone, which uses 'nano-scale microcrystalline' tech to provide a diamond effect in colour patterns. As with other recent Oppo phones, it comes with AI-based beautification and scene recognition features. There is also a game mode for uninterrupted gaming, gestures optimised for the bezel-less display, and an AI-based smart assistant. Finally, the Oppo A3 is also said to be 128-point face recognition technology that can unlock a smartphone in as little as 0.08 seconds. Oppo A3 price The Oppo A3 price has been set at CNY 2,099 (roughly Rs. 22,100) and it is available to buy already. The company is touting a special introduction price of CNY 1,999 (roughly Rs. 21,000). It will be available in Black, Pink, Red, and Silver colour variants. Oppo A3 specifications The dual-SIM (Nano) Oppo A3 runs ColorOS 5.0 based on Android 8.1 Oreo. It sports a 6.2-inch full-HD+ (1080x2280 pixels) LTPS display with a pixel density of 405ppi and a 19:9 aspect ratio. It is powered by an octa-core MediaTek Helio P60 SoC clocked up to 2GHz, coupled with 4GB of RAM. The Oppo A3 bears a 16-megapixel rear camera with an f/1.8 aperture and dual-LED flash. On the front, it sports an 8-megapixel camera with an f/2.2 aperture. It ships with 128GB of inbuilt storage, expandable via microSD card (up to 256GB). Connectivity options include 4G VoLTE, dual-band Wi-Fi (2.4GHz and 5GHz), Bluetooth v4.2, GPS/ A-GPS, Micro-USB with OTG, and a 3.5mm headphone jack. Sensors on board the Oppo A3 include accelerometer, ambient light sensor, gyroscope, and a proximity sensor. It sports a 3400mAh battery, measures 156x75.3x7.8mm, and weighs 159 grams. Oppo A83 (2018) has been launched in India. The new smartphone is an upgrade of the Oppo A83 that arrived in India in January at Rs. 13,990. 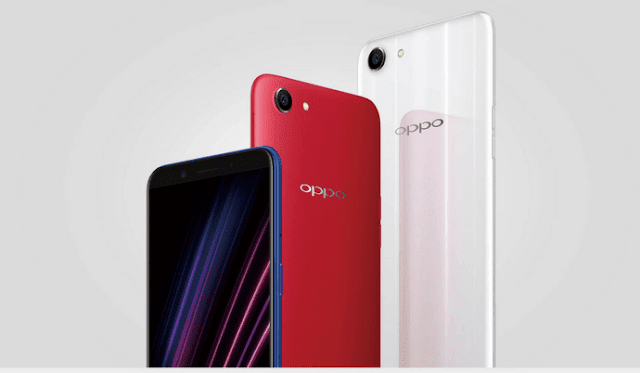 The Oppo A83 (2018) price in India is set at Rs. 15,990. At this price point, the new Oppo handset will take on the likes of the Redmi Note 5 Pro, Vivo V7, and Samsung On7 Prime. The smartphone has more RAM and onboard storage over the previously launched Oppo A83, the primary differences between the smartphones. All other specifications remain the same. It will be avialable in Blue, Gold, and Red colour variants in the country. 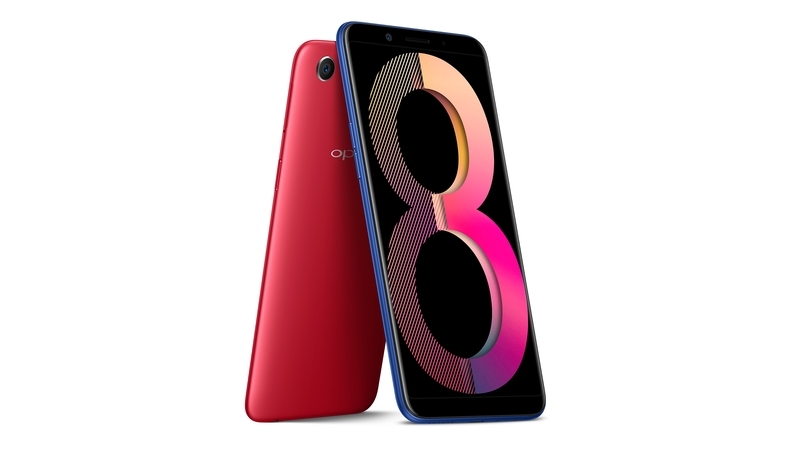 Oppo A83 Pro specifications The dual-SIM (Nano) Oppo A83 (2018) runs Android 7.1 Nougat-based ColorOS 3.2 and features a 5.7-inch HD+ (720x1440 pixels) LCD panel with 18:9 aspect ratio. Under the hood, there is a MediaTek MT6737T SoC that has an octa-core CPU clocked at up to 2.5GHz, coupled with 4GB of RAM (the Oppo A83 has 3GB of RAM). The smartphone has a 13-megapixel rear camera sensor with an LED flash and an 8-megapixel camera sensor is available on the front. For storing content, the Oppo A83 (2018) has 64GB of inbuilt storage (Oppo A83 has 32GB inbuilt storage) that is expandable via microSD card (up to 256GB). The smartphone has Wi-Fi, Bluetooth v4.2, GPS/ A-GPS, Micro-USB port, and a 3.5mm headphone jack on the connectivity front and comes with a facial recognition feature to unlock the screen using your face. Sensors on board include accelerometer, ambient light sensor, and proximity sensor. There is a 3180mAh battery. Besides, the handset measures 150.50x73.10x7.70mm and weighs 143 grams. Chinese smartphone manufacturer Oppo may soon launch another smartphone in its A-series. Following the launch of Oppo A1 in China, the company is reportedly ready with an Oppo A3 handset. The smartphone has suddenly surfaced online via benchmark listings and a certification site, showcasing most of the design details and specifications. Similar to the Oppo A1, the A3 is also expected to come with a facial recognition technology by removing the fingerprint scanner. Also, the handset is possibly going to be yet another addition in the lineup of smartphones that have embraced the iPhone X-like notch. Also, the new handset appears to be similar to the Oppo F7, suggesting it will be a low-priced variant of the new model. As per listings posted on TENAA in China, the Oppo A3 comes with model numbers PADT00 and PADM00. The smartphone will sport a 6.2-inch full-HD+ (1080x2280) display. Additionally, the smartphone is expected to be equipped with a 16-megapixel rear camera and an 8-megapixel front camera. The Oppo A3 will run Android 8.1 Oreo, with the company's own skin on top. Also, the listing revealed that the smartphone will come in 4GB and 6GB RAM variants with inbuilt storage options being 64GB and 128GB. The Oppo A3 will have connectivity options like 4G VoLTE, Wi-Fi, Bluetooth, and GPS, according to the listing. Additionally, the smartphone will include an ambient light sensor, proximity sensor, and gravity sensor. It is fuelled by a 3300mAh battery. The Oppo A3 measures 156x75.3x7.8mm and weighs 159 grams, the listing has revealed. As mentioned, the Oppo A3 has also been spotted in a benchmark site. A Geekbench listing has showcased some details about the Oppo A3 with model number PADM00. One of the variants of the handset is said to come with 4GB of RAM. It will be powered by the octa-core MediaTek Helio P60 (MT6771) processor, clocked at 2GHz. Notably, the smartphone scored 1507 in single-core performance and 5755 in multi-core. Notably, a Chinese telecom site has also revealed the upcoming Oppo A3, 5gmobilephone reports. This listing confirms most of the specifications that were revealed earlier. However, it says that the handset will sport a 16-megapixel camera at the back and an 8-megapixel at the front. If the report is to be believed, the smartphone may have a 16GB inbuilt storage variant as well, expandable via microSD (up to 256GB). Finally, the Oppo A3 is expected to come in Blue, Knight Black, Stardust Silver, Pomegranate, and Soybean Meal colour variants, and will be priced at CNY 1,999 (roughly Rs. 20,900). Oppo on Monday announced the launch of its Oppo F7 Diamond Black 128GB variant in India. Announced at the Oppo F7 launch event but without exact availability, the Diamond Black edition comes with 6GB of RAM and 128GB of inbuilt storage. A Solar Red variant with 6GB RAM and 128GB storage was also due to launch soon, but there is no word as to its availability. The custom variant adorns a multi-layered metallic and glass back. Subsequently, it is steeply priced at Rs. 26,990 - in contrast, the regular variant with 4GB RAM and 64GB inbuilt storage is priced at Rs. 21,990. Starting April 21, the Oppo F7 edition will be available for purchase across Flipkart, Amazon.in, Paytm, and all Oppo offline stores. Oppo F7 specifications The dual-SIM (Nano) Oppo F7 runs ColorOS on top of Android 8.1 Oreo. It sports a 6.23-inch full-HD+ (1080x2280 pixels) Full Screen 2.0 display with a 19:9 aspect ratio. The handset is powered by a 64-bit MediaTek Helio P60 SoC, coupled with up to 6GB RAM and up to 128GB of onboard storage. In terms of camera specifications, the Oppo F7 bears a single 16-megapixel rear camera with an f/1.8 aperture and certain AI recognition features. On the front is a 25-megapixel selfie sensor with f/2.0 aperture and real-time HDR. There is a 3400mAh battery powering the internals from under the hood. "We always appreciate the feedback of the youth and try and come up with devices that fulfill the demands of our young consumers. We feel the colour of the device will resonate well with the youth as smartphones are an extension of one's personality in today's day and age. With the F7 Diamond Black version we have tried to incorporate an enthralling design with an amazing storage of 128GB to ensure our consumers can store all their precious memories spent with friends and family," said Will Yang, Brand Director, OPPO India. 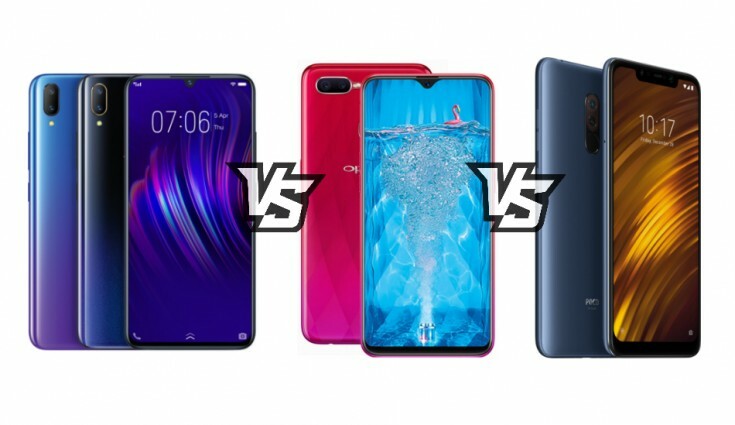 The war for the best selfie camera smartphone in India seems to be on as two of the biggest Chinese smartphone brands -- Oppo and Vivo -- have launched their flagships in the space of seven days. The Oppo F7 and Vivo V9 boast of Artificial Intelligence-based selfie camera. Here is how the two smartphones compare against each other on all aspects. Display The Oppo F7 comes with a 6.23-inch full-HD+ display with 1080x2280 pixel resolution and 19:9 aspect ratio. The Vivo V9 has a 6.3-inch IPS LCD ‘FullView’ display with 2280 x 1080 pixels resolution and 19:9 aspect ratio. 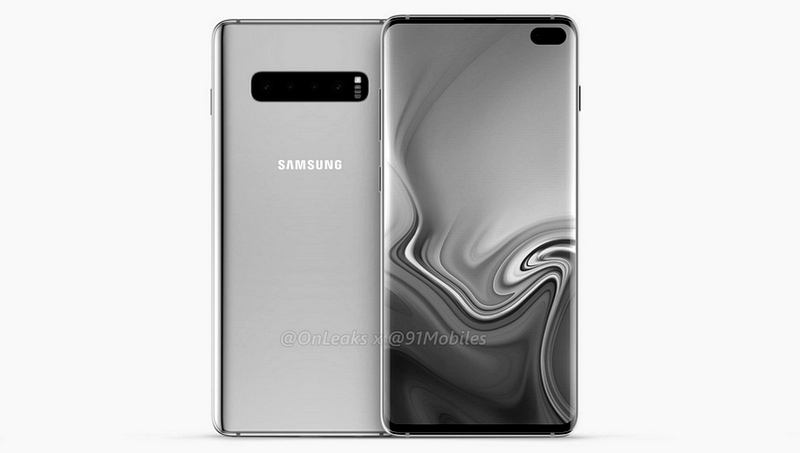 Both devices sport an iPhone X-like notch. Processor The Oppo F7 is powered by an 64-bit octa-core MediaTek Helio P60 processor. On the other hand, the Vivo V9 has a is powered by the Qualcomm Snapdragon 626 processor. Operating system The Oppo F7 runs on Color OS 5.0 based on Android 8.1. The Vivo V9 runs Android 8.1 Oreo operating system skinned with FunTouch OS. RAM and storage The Oppo F7 comes in two storage options -- 4GB of RAM with 64GB ROM and 6GB of RAM and 128GB ROM. The Vivo V9 has only one variant of 4GB of RAM and 64GB internal storage. Camera The key highlight of both the smartphones is its front camera. 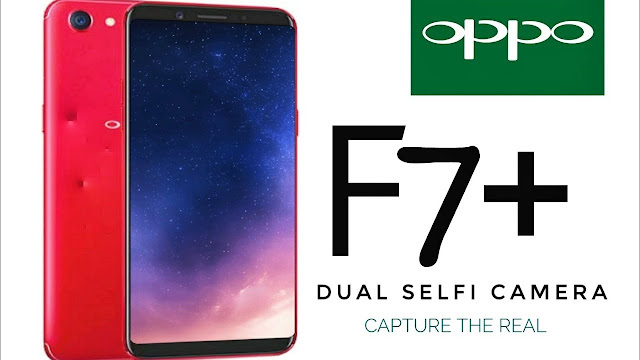 The Oppo F7 has a AI Beauty 2.0-powered 25-megapixel front-facing camera with Sony 576 Sensor HDR. The Artificial Intelligence feature help the camera capture images with better colour reproduction and also remembers the editing habits of the user and does that automatically for them for their subsequent pictures. The Vivo V9 has a 24MP selfie camera with features like portrait mode, AI enhancement, AR Stickers and others. It also has a ‘Shot Refocus’ feature using which people can refocus the subject after taking the image. On the back, the Oppo F7 has a single 16MP camera module, the Vivo V9 has a dual rear camera setup of 16MP and 5MP. Battery The Oppo F7 is powered by a 3400mAh battery, which claims to offer 15 hours of battery backup on a single charge. The Vivo V9 has a 3260mAh battery. Price The Oppo F7 comes at a starting price of Rs 21,990, for the 4GB RAM variant and Rs 26,990, for the 6GB RAM variant. The Vivo V9 has been priced at Rs 22,990. Last week, OPPO launched its latest high-end smartphone OPPO R15 in China. Now, the company came up with a budget smartphone called OPPO A1 for the Chinese market. The OPPO A1 costs 1499 Yuan in China and will go on sale starting April 1st. 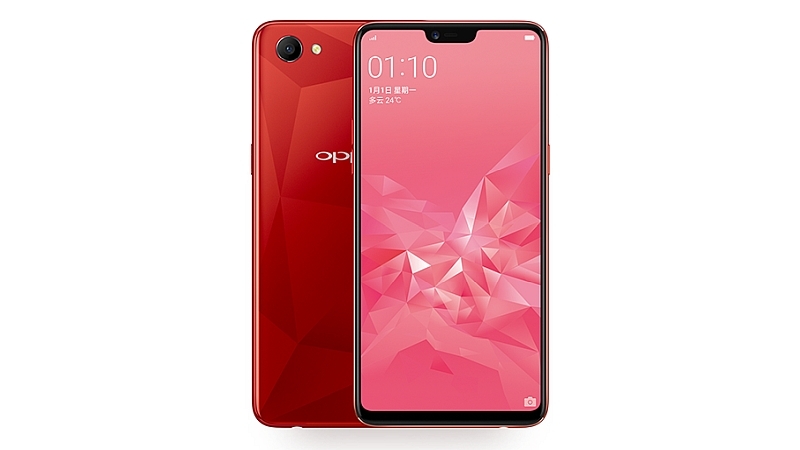 While the listing mentioned the OPPO A1 to be available in Cherry Red and Dark Blue color options, there is also a Glossy finish White color variant in the promotional images. It sports a 5.7-inch display on the front with HD+ (1440 x 720 pixels) resolution and 18:9 aspect ratio. Under the hood, the device comes powered by a 64-bit MediaTek Helio P23 (MT6763T) octa-core processor coupled with Mali G71 MP2 GPU. It includes 4GB of RAM and 64GB of internal storage that can be further expandable using the MicroSD card slot. OPPO is completely ditching the fingerprint sensor in favor of face unlock. According to the listing, the device detects 128 points on the face for secure facial recognition. Talking about the cameras, the OPPO A1 sports a 13MP camera on the rear with LED flash and an 8MP front camera. The device is backed by a 3,180mAh non-removable battery and lacks the fast charging support. While the power button and sim card slot are on the right edge, the volume rocker is placed on the left edge. Since the device comes with minimal bezels, the company is offering on-screen navigation buttons. Connectivity options include 4G LTE, Wi-Fi, Bluetooth, GPS, 3.5mm audio jack, and a MicroUSB 2.0 port. As seen with the earlier launched OPPO A-series devices, the new OPPO A1 might also launch in the other Asian markets in the coming weeks. 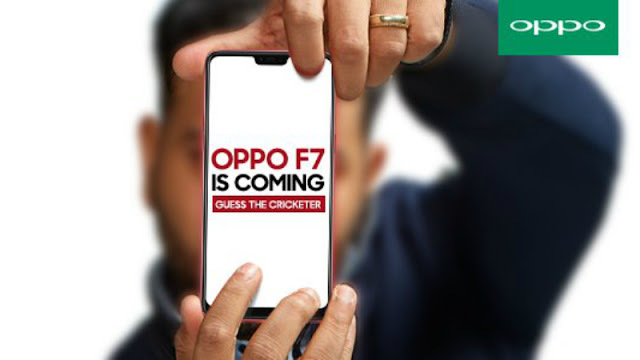 Oppo F7 specifications have surfaced online days ahead of its launch in India that is scheduled for March 26. The new development sits alongside the key features and specifications that Oppo revealed officially late last week. It has been spotted that the Oppo F7 is powered by a MediaTek processor and come with tons of AI-based selfie enhancements. The upcoming smartphone is expected to sport an iPhone X-like notch and a near-bezel-less display. It will be the second smartphone with a notch launching in India in a week, after the Vivo 9 was unveiled in the country earlier today. The specifications of the Oppo F7 have been leaked through a sales pitch manual, as reported by Smartprix. The smartphone appears to have an octa-core MediaTek Helio P60 SoC with four Cortex-A73 cores clocked at 2GHz and four Cortex-A53 cores clocked at 2GHz, paired with Mali-G72MP3 GPU and 6GB of RAM. The sales pitch manual also states that the handset has a 16-megapixel rear camera sensor with an automatic scene recognition feature. The camera sensor comes with an f/2.0 aperture lens on top and supports 4K video recording as well as uses a dual-tone LED flash. Further, there is a 3400mAh battery that is touted to last for up to 15 hours on a single charge. On the software front, the Oppo F7 appears to run ColorOS 5.0 with features such as facial unlock and screen recording. There is also a rear-facing fingerprint sensor and connectivity options such as 4G VoLTE, Wi-Fi, Bluetooth, and GPS/ A-GPS, as mentioned by Smartprix. The sales pitch manual also highlights the 6.2-inch full-HD+ (1080x2280 pixels) Super Full Screen panel of the Oppo F7 that has 19:9 aspect ratio. It also specifies the 25-megapixel selfie camera on the smartphone with features such as AI selfie, AI Beauty, and Real-time HDR. Similarly, there are Cover Shot and AR stickers. It is worth noting here that these last details were already confirmed by Oppo in a press note last week. The company also revealed that the handset will support gestures and have an App-in-App view for an enhanced multitasking experience. Neither the newly leaked sales pitch manual nor the previously released official press note has confirmed the price and availability details of the Oppo F7. Therefore, we need to wait for the official launch to get all such information.